BAHRAIN will spend a total of BD15.6 million ($41.3 million) to strengthen and expand the national power grid. The expansion plan includes 60 medium-intensity projects (11 kW) costing BD11.4 million and 430 low-intensity pro-jects (BD4.2 million), a top official said. This will be in addition to the construction and operation of 11 main stations and 180 substations, explained Shaikh Nawaf bin Ibrahim Al Khalifa, chief executive of the Electricity and Water Authority (EWA). Water consumption in the kingdom is expected to soar to a daily average of 165 million gallons during summer. Bahrain has the capacity to meet growing demand as the daily output of water is expected to stand at 180 million gallons, he said. Technicians have conducted the maintenance of 9,000 valves and modernised the control systems to deal with a daily flow of 160 million gallons from the EWA-run water stations. “An additional 20 million gallons of groundwater are pumped daily into the distribution network,” Al Khalifa added. Overall power consumption is expected to reach a peak of 3,200 MW, up by 7.7 per cent compared with last year. 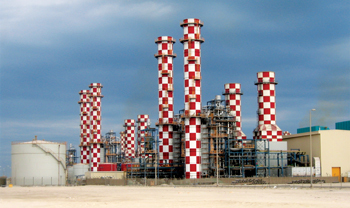 Ac-cording to the latest figures, Bahrain has the capacity to produce 3,933 MW. EWA plans to launch a series of media campaigns to rationalise water and power consumption during peak hours. It will be co-ordinated with the National Oil and Gas Authority. A programme targeting large industrial and trading companies will also be launched as part of efforts to reduce con-sumption. It engages more than 90 firms with a combined load of 440 MW, making up 15 per cent of the overall load during peak hours in summer.